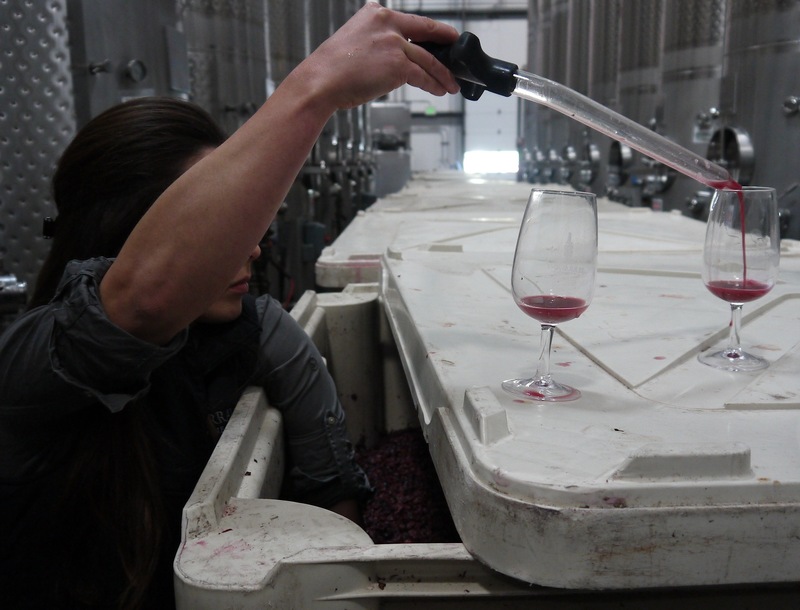 In October, Zotovich pulled a sample of fermenting grenache that will soon be bottled and released as the 2014 Dreamcôte Wine Co. Rosé. Grenache from a Santa Ynez Valley vineyard. 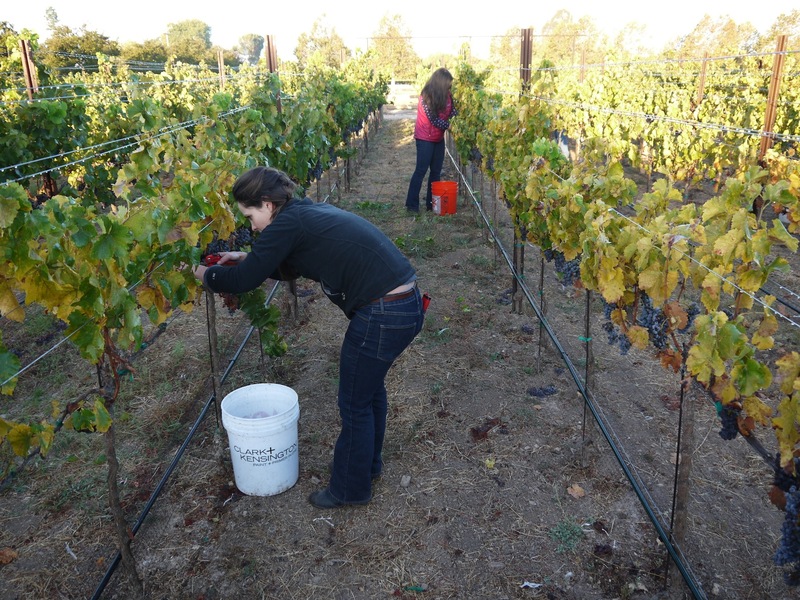 Zotovich, foreground, and Clifford pick grenache from a vineyard near Ballard on the morning of Oct. 10. 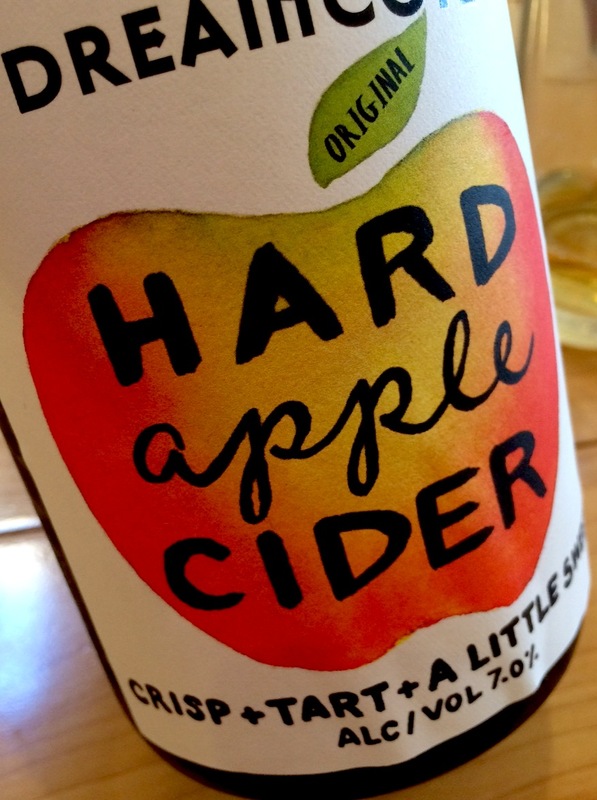 Their goal, for optimal cider: “We want as little ‘fizzy’ as possible,” Zotovich explained. The finished cider will be bottled unfined and unfiltered, since “people ‘get’ that a cloudy appearance” is a hallmark of ciders. 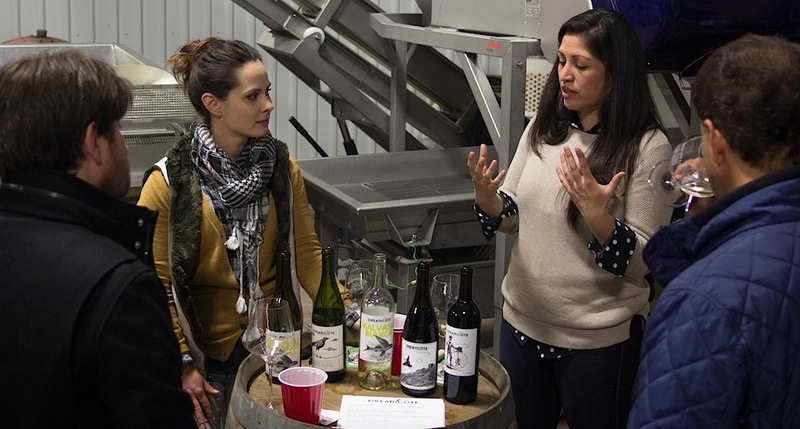 Lee Tomkow Photo/Brit Zotovich, left, and Anna Clifford discuss Dreamcôte Wine Co. with two wine writers at a private tasting in December.